Android games are something that is relished by all. We love to hit the bull’s eye or drift as fast as the light, don’t we? Today we are handicapped without our smartphones loaded with enriching games to while away our time. Thus let’s see some of the best Gundam alternative android games today. Gundam is one of the most enjoyed video games with exotic first world shooting experience & enthralling gameplay. Yet we are never satisfied what we have with our heart always craving for a bit more. There exist a plethora of various games which are promising enough to give you thrills and chills similar to Gundam. Here in this article, we will discuss five best Android games that are similar to Gundam. You can pick any one of these games depending on your interests, socializing spirit, and device compatibility. 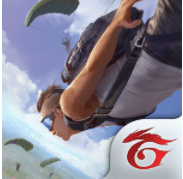 Free Fire is a unique open world shooting game. It is primarily played online with other players or through Facebook with your friends. The most striking feature of this game is the live voice conversation between the players during the gameplay which brings it to the top of this list. As a player, your main aim in Free Fire is to keep yourself alive in a deadly yet appealing district. There are tons of different weapons to try your hands on at. Further, you can boast about your driving skills in front of your fellow teammates with some drivable cars around the map. Nonetheless, this game is enticing and delivers up to the expectations of the game player. Who does not know about the most famed Mini Militia? From secret classroom gaming sessions to late night killings, Mini Militia has always captured our hearts. 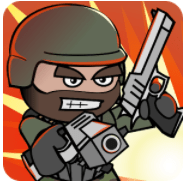 Doodle Army 2: Mini Militia is developed by Appsomniacs LLC, and it was listed as one of the top applications on the Indian app store. This game boasts its user-friendliness. It also sheds light on the revival of 2D graphics in the video game industry amid heavy 3D games which are not compatible with all devices. Mini-Militia is platform independent and connects users either through its server or by hotspot. As far as the gameplay is concerned, Mini Militia appeals with a sundry of mysterious maps and more than ten different weapons. This game might be a deal breaker if you don’t have a stable internet connection yet it is worth a try. The more you kill, the better player you become! 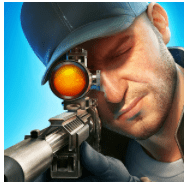 Sniper 3D is known for its stunning graphics which is enthralling as well as thrilling. It has the finest selection of weapons which grips the user to the game for long hours. The game has missions to complete, upon which points and credits are awarded. You might like this game because, of a variety of shooting locations such as a moving car, in a temple, on top of a building or even a flying airplane. Last but not the least this game can be played without an internet connection ensuring excessive data is not consumed. It is another one of its kinds grabbing a spot on this list. 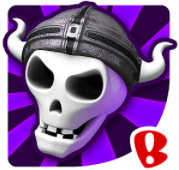 Army of Darkness Defense is a promising game which has different stages to complete in order to create the strongest infantry and cavalry. This game is a third person offense control game where your main aim is to protect a sacred book which is locked in a cage from powerful zombies. Every stage is different as you encounter different types of zombies and your unique abilities might also change. As you progress ahead, these zombies garner more power, while you could dominate the game with increased abilities and upgraded troops. Although it must not be a deal breaker, this game has only 2D graphics owing to the nature of the gameplay. The reputed Backflip Studios develop Army of Darkness Defense. Sharing some trivia, this game is based on the movie Army of Darkness. This list is incomplete without a flagship game. NOVA Legacy is a First-Person Shooter game, a creation by prominent developer Gameloft. 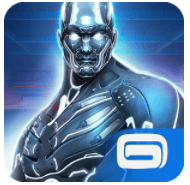 It must be noted that Gameloft creates one of the best games on this planet hence even NOVA Legacy stands apart from other games in the similar genre. You must be wondering what makes this game so special? Go and try out, could be the best possible answer. This game comes with brilliant graphics akin to all Gameloft creations. Nevertheless, Gameloft has shed light on the fact that this game is just a 20 Mb affair on your device. Hats off to this marketing trick as this fact have fooled many gamers after downloading additional data during the gameplay. Yet this must not be a deal breaker either as the game is worth what you download. The game comes under Science Fiction, first world shooting genre, where your ultimate aim is to defeat alien forces. This game is a must in your device. The aforementioned games assure you a great time. You would not repent after downloading any. It can be concluded that these games are the best alternatives for Gundam.